Match.com is by far the largest dating site in the world. Founded in 1995, it now serves singles in 24 countries and supports up to 18 languages. This match site has a huge database of singles. It gets really popular within USA, Canada, Uk and many other countries. Although it opens to singles in all age group but they do have special landing page that featuring senior singles over the age of 50. Their monthly unique visitors number goes up to 4.29 million! You can imagine that with such a huge amount of members online, your chance of getting a date would increase a lot more. 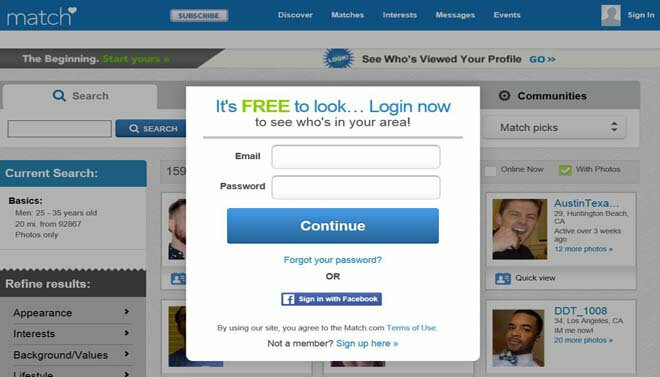 All users can register and create a profile for free at Match.com. With the free membership you can use some basic features on site such as conduct basic search, browse profiles and send free winks. In order to enjoy the full function that the site provides and to communicate with potential matches, one must be a paying subscriber. 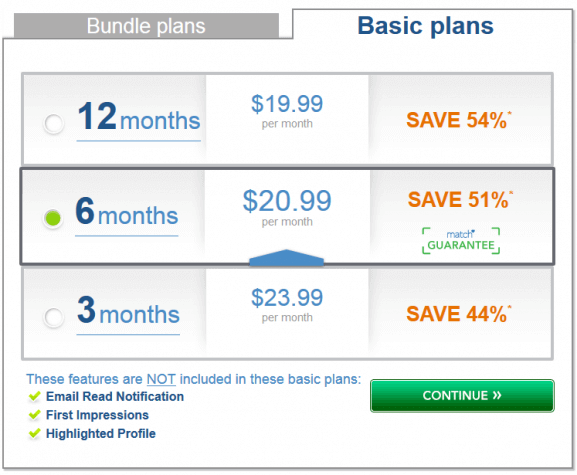 Subscriptions range in price from $42.99 to $251.88 and are available in 1- 3-, 6-, and 12-month packages. 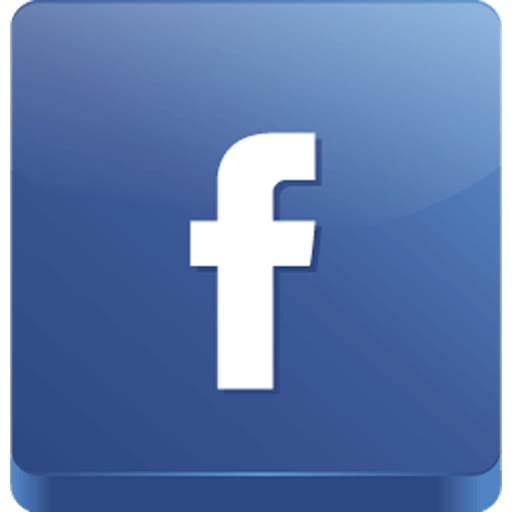 We will provide the detailed subscription package in the paragraph that follows. Just be noted that it may have seasoned promotion or price change on their site sometimes. So you may check the actual price on their site. Match Guarantee: If you don`t find someone special during your first six months, you`ll get another 6 months free. It is an user-friendly site which would be good for senior singles. Designed in an easy to navigate way, it shows simple guide to help you complete your profile and further explore the site when you first register. You would be simply connected to other singles in many possible ways like wink, email and Chat. We have to mentioned the most important "Search" part on Match. The highly detailed search function makes it even better for one to search for possible matches based on their own criteria. The chances are that you may like what you see in the search results cos all the members shown there fit your standard. There is also a simpler or "lazy" way to find our possible matches. If you don't want to bother to search again and again, you can check the daily matches in your account that picks by Match for you on a daily basis. With all that said, there is still one more very important factor that makes it stand out among all the dating sites. 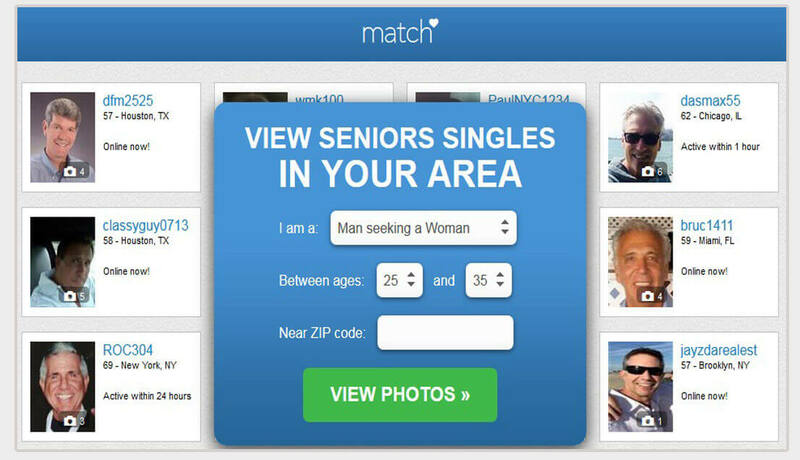 Match.com guarantees that "If you haven't found someone special within 6 months, we’ll give you an extra 6 months FREE." Sounds cool? Then make your try!